Отель Hanting Express Cangzhou Kaiyuan Avenue находится в городе Cangzhou. Accepting Mainland Chinese citizens only, Hanting Express Cangzhou Kaiyuan Avenue offers accommodation in Cangzhou. Guests can enjoy the on-site restaurant. 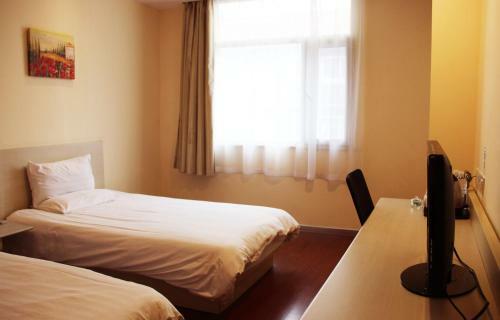 Each room at Cangzhou Kaiyuan Avenue Hanting Express is air conditioned and comes with a TV.